WatSan Action works to improve water and sanitation conditions in Jakarta, Indonesia’s disadvantaged communities through the development of Yayasan Tirta Lestari, a local nonprofit that conducts educational activities and participatory projects in four programs: Public Health Promotion, Clean Water Program, Improved Sanitation Program, and Solid Waste Management Program. 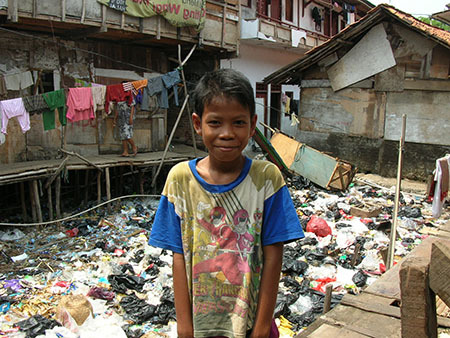 Having grown up in Jakarta, I felt the need to give back and help improve the lives of the most unfortunate, so I joined the Board of this nonprofit to help improve the impact and efficiency of the work done. When this nonprofit incorporated, they did not have a visual identity and presence to boldly present themselves to potential donors. 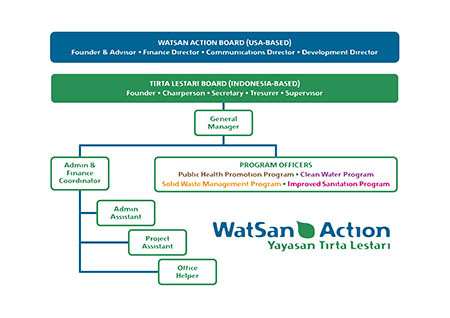 They also needed a way to clearly represent the local organization they created (Yayasan Tirta Lestari) and the four programs that made up the essential components of the work they do. In addition, they needed assistance in strategizing their approach to donors and the process of responding. In the field, they also needed to brand their work, allowing their work to be easily identifiable in the communities they serve. They also needed visual instructional material that is easy for the people in the communities to understand. 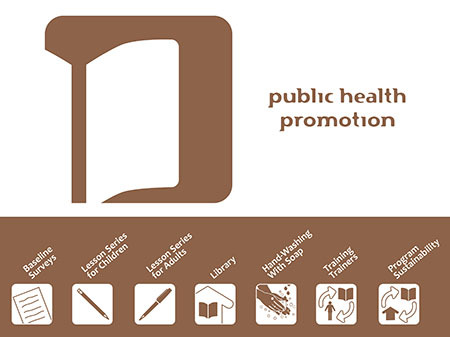 The challenge in creating the identity was to incorporate both organization names and identity the four programs that make up their work: Public Health Promotion, Clean Water Program, Improved Sanitation Program, and Solid Waste Management Program. 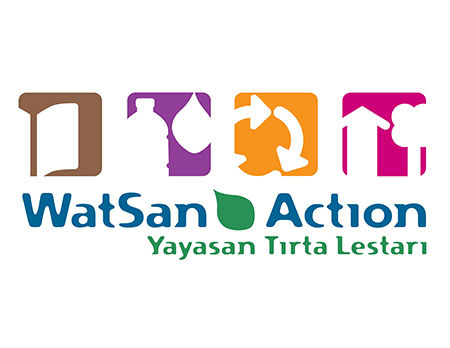 The logo would also need to work with just WatSan Action as the name. 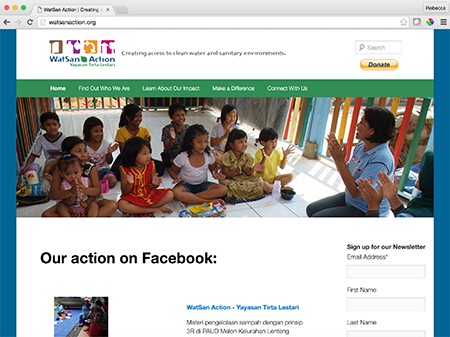 When it came to developing donation material and the response process, taking into consideration people can donate to either organization (in the US or Indonesia) as well as with money, time, or supplies made it challenging to lay out what each participating member needed to do in both organizations to follow up with each type and volume of donation. Creating important instructional material for the people in the communities we serve is also a challenge, as most all of them cannot read or write. To incorporate the four programs that make up the work of this nonprofit into the logo, I illustrated and color coded icons that represent the essence of the work that each program focuses on. It was easy to break apart the logo and have stand-alone identities for each program representing and branding their individual work and contribution in the field and to the world. Developing org structures for both organizations and the individual programs allowed for a better understanding of the structure and breadth of what the work consists of. Designing a website and bi-lingual brochure was key in distributing to potential donors to help them understand the what, why, and where of the work we do. To help organize and layout the various action steps needed to be taken by different parties once a donation was made, it was imperative to work with the Founder, other Board Members involved and Program Managers to come to an agreement on how the process will work. Once we settled on the structure of the process, I designed a flow chart to clearly show which parties needed to take which actions and by when, depending on the size, type, frequency, and location of a donation made. These documents were key in stopping the confusion about who is responsible for what in the donation process, making it much easier and crystal clear to everyone who is required to take action. With four Program Managers writing different reports using their own individual templates, it made it difficult for the Program Coordinator to gather and evaluate all of the data being reported and to write the quarterly and annual reports. After working with the Program Coordinator to update the information that was being collected, I developed standard templates to streamline all reporting. The work I created for the people in the communities we serve was challenging because most people cannot read or write. So the information and instructions needed to be very visual and clear, and needed to be tested to ensure the comprehension.